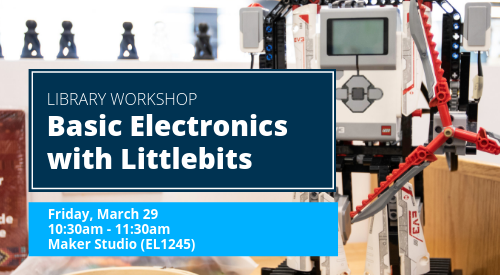 This workshop will teach users the basics of electronics using Littlebits —a plug and play learning electronic assembly tool that allows builders to quickly create a circuit without having to solder or worry about directions of electrical flow. Learning these basics will allow participants to have a deeper understanding of the tools we take for granted everyday. Once you know these fundamentals, you can build and fix your own electronics.